Poketo at The Line. Photo courtesy of The Line Hotel. Hotel gift shops around the world are undergoing a much-needed transformation. Instead of basic toiletries and tourist T-shirts, a handful of our favorite hotels are stepping up their game with specialty boutiques selling indie designer goods, artisan food products, and luxury apothecary items. You can find a second, smaller outpost of the Downtown LA art and design shop adjacent to the lobby of Koreatown’s hippest hotel. 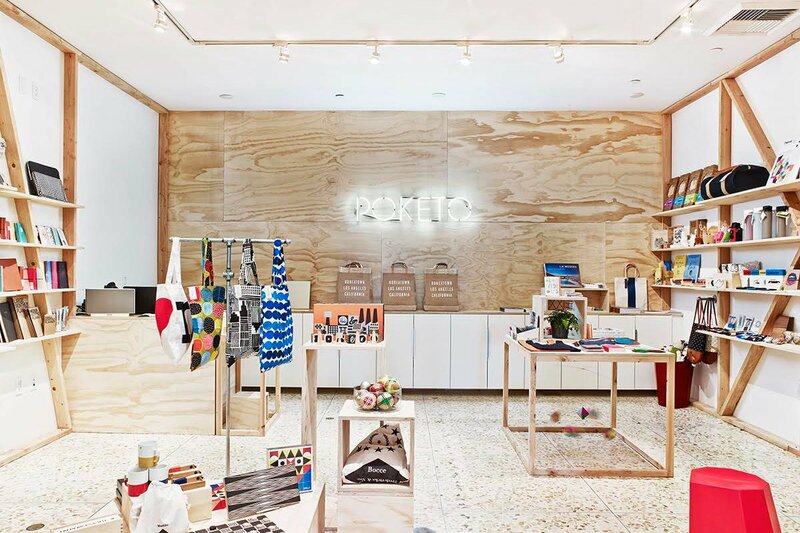 In addition to apothecary items, apparel designed exclusively for The Line Hotel, and indie magazines, they also stock a stellar collection of stationery goods, including brightly colored pens and notebooks printed with bold geometric designs. 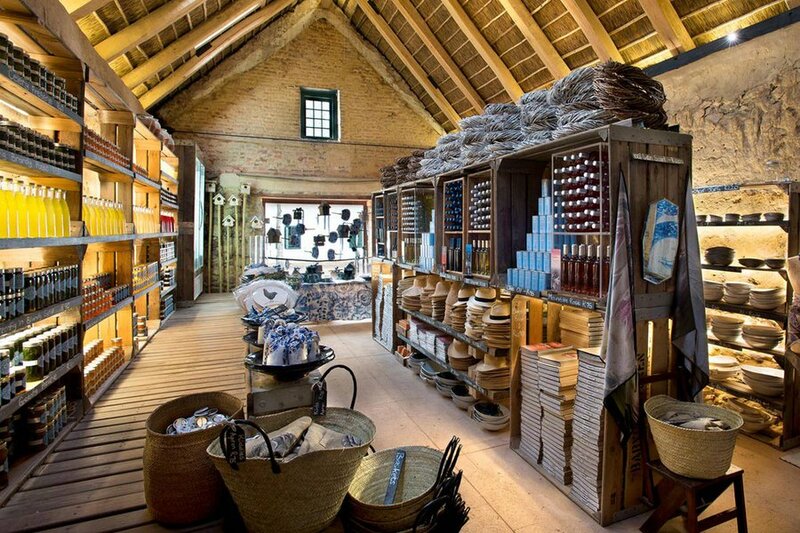 While visiting the 17th-century Babylonstoren's Cape Dutch farm — an hour east of Cape Town, hotel guests can pick up a wide selection of items made from produce grown in the inn's eight-and-a-half acre garden. Jams, cordials, preserves, and olive oil all make lovely souvenirs, as does a bottle of wine from the hotel's vineyard. Chicago's celebrated 1890s athletic club is home to one of the city's newest and most exciting hotel openings, The Chicago Athletic Association Hotel. 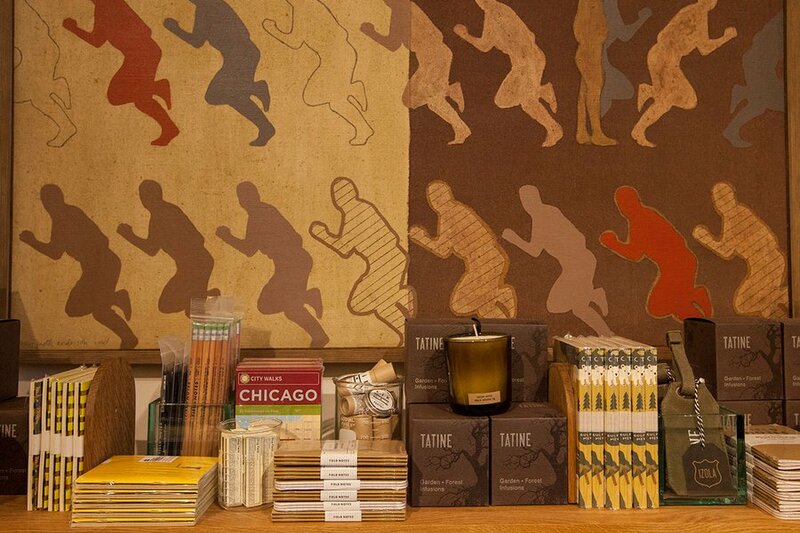 Playing off the building's heritage, the two-room gift shop is designed to send visitors back in time. Hotel sundires, apothecary items, reading material, and men's accessories are housed in an old-school drugstore-style room with a barber chair, while the former Ladies' Lounge is filled with fresh flowers, natural cosmetics, and fragrance counter. Designed and curated by the creative director of Base, a trio of Miami shops favored by design lovers, The Miami Beach Edition's lobby store houses a tightly edited collection of lifestyle items, including handmade Mykita sunglasses, limited-edition Nixon time pieces, and books, vinyl, and magazines from around the world. Tokyo boutique hotel Claska is home to one of the country's best mini-lifestyle chains. 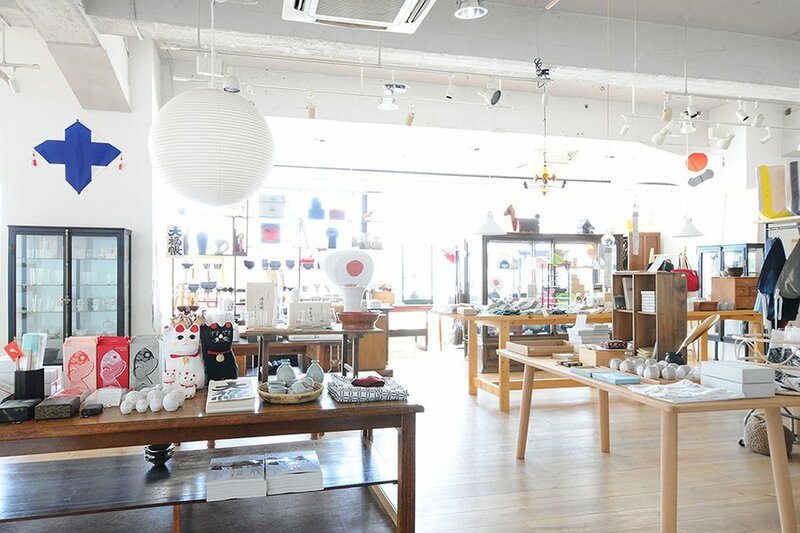 The design shop has thirteen outposts around Japan, each offering a selection of goods that range from traditional crafts to stationery and beauty products from emerging Japanese designers. 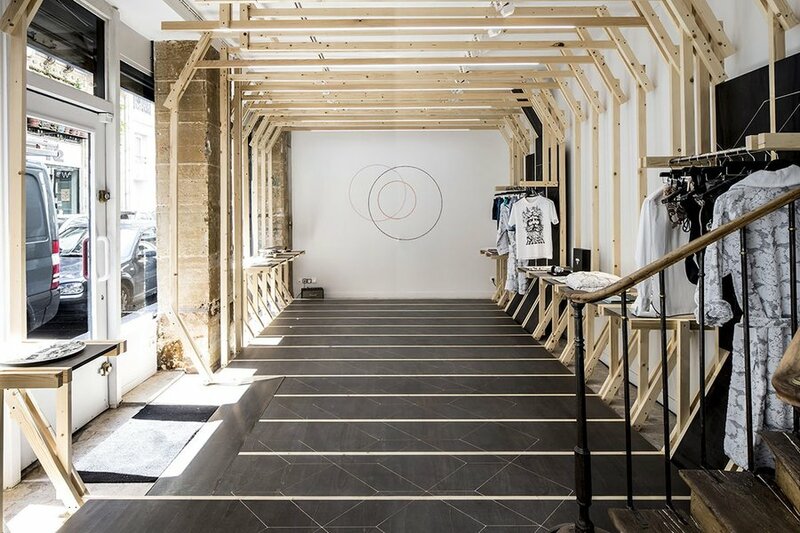 The tiny Marfa, Texas, shop has taken up residence at Ace Hotel New Orleans. 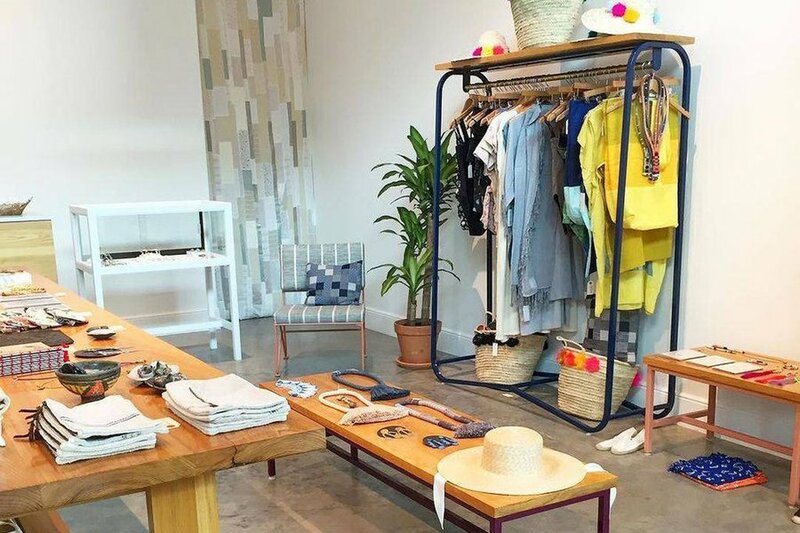 Collaborating with makers from across the south, the lifestyle boutique has everything from handcrafted jewelry and clothing to beauty and gift items from local brands like Saint Claude, Xodo Botanicals, and DVRA. 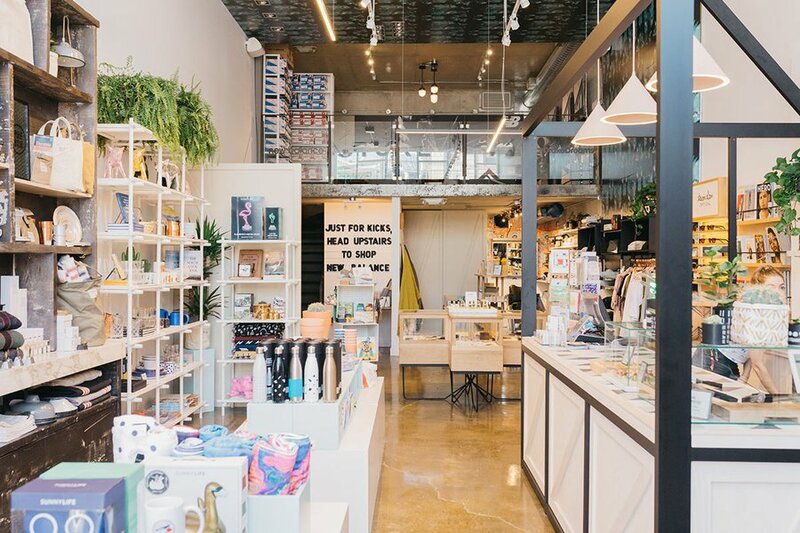 A cornucopia of our favorite shop types all mixed into one, the brand's Toronto flagship store is located across the street from The Drake Hotel and combines the best of a classic general store, flea market, hotel gift store, and museum shop in one. Merchandise desiged in-house is mixed with limited-edition collabs and a roster of international and local brands. A mini cafe and barber shop are two extra touches you won't find at the other locations. 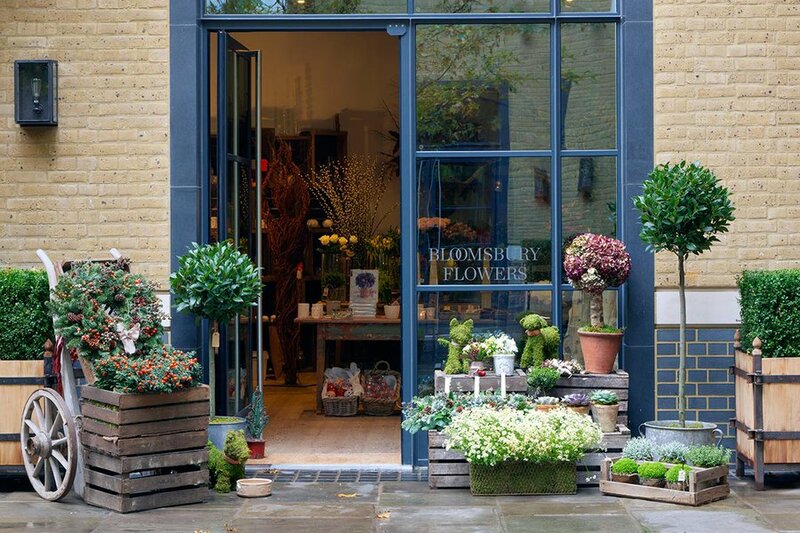 The London Ham Yard hotel features a tree-filled pedestrian thoroughfare with thirteen specialty shops that include a magical flower boutique, artisan tea store, luxury apothecary, and LA-inspired juice bar. The single room hotel is best known for its boutiques, restaurants, and event spaces. 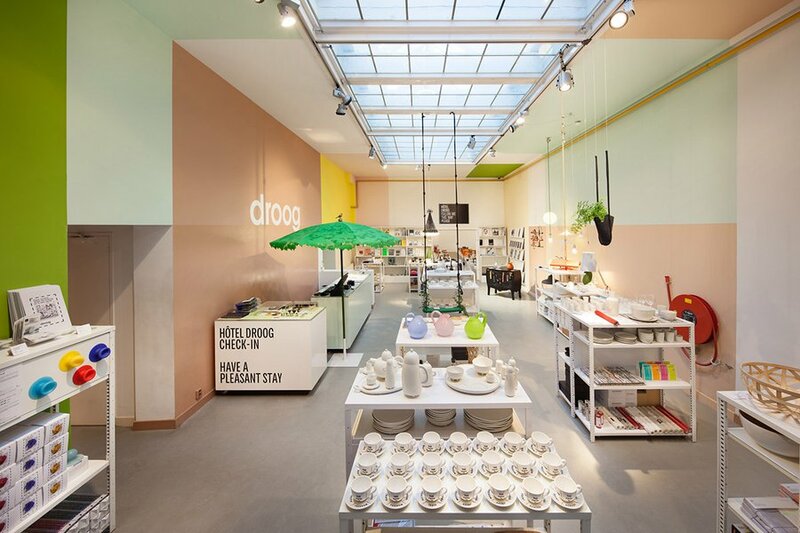 With a focus on prominent Dutch designers like Antoine Peters Kids and Spijkers & Spijkers, you can also find small design products, their own line of goods, and hard-to-find international beauty brands. Take a yoga class in the courtyard or visit the enchanting Fairy Tale Garden for a cup of tea. The well designed, art-filled Les Bains formerly housed one of Paris' most famous night clubs and has a standalone concept shop across the road. Wooden skateboards and bags of artisan coffee are positioned alongside collaborations with luxury brands like Pierre Hardy and Delphine Delafon.